A few years ago I commented to my brother: “Hasn’t this year gone quickly!”, to which he calmly replied: “No. This is just the normal speed of life. Get over it.” Nevertheless, let me say again that this year has flown by. I have achieved some great things (read 50 books as part of the 2015 reading challenge, blogged every day in September for Vegan MoFo, finished second in the pub quiz). I have also moved to another country, travelled to some beautiful places and, of course, eaten some exceptional food. Here you will find my five favourite eateries of 2015. Not everything is plain sailing though, so I’m going to include some of the culinary low points too. 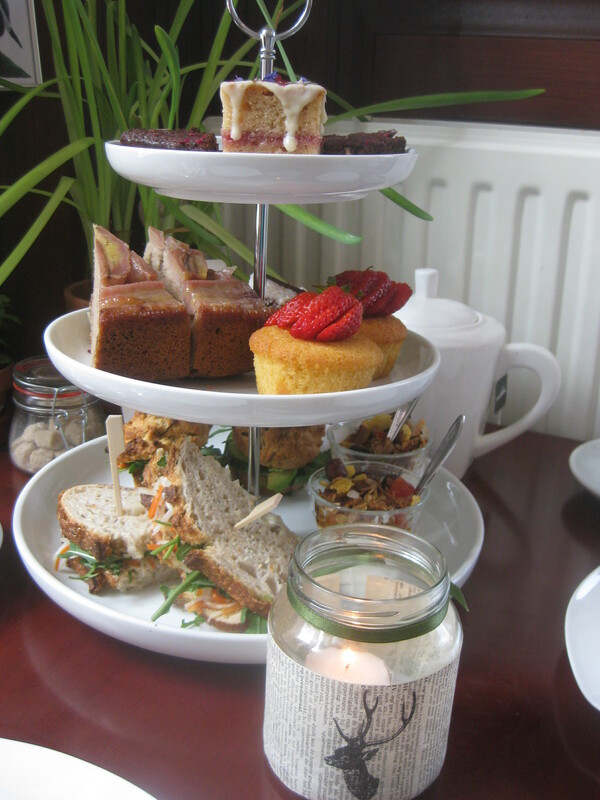 In 2015 I had eleven vegan afternoon teas. Given that afternoon tea is such a British institution, I was surprised to find that my favourite was the only overseas one, at this lovely cafe in Amsterdam. It was not a classic afternoon tea, but everything was absolutely sublime and the service was so friendly. Also, I remember it being a lovely spring afternoon, in the good mood of a holiday, just across from a beautiful park. Perfection! 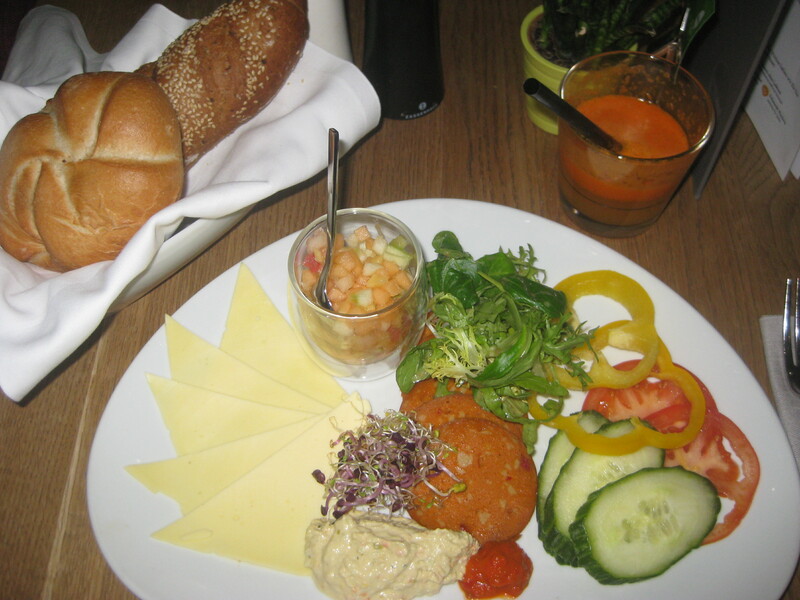 Let’s stay in Amsterdam for the first disaster of the year: breakfast at raw vegan cafe Alchemist Garden. Service was painfully slow, despite us being the only customers, and unfortunately the food just wasn’t great. They’d run out of granola the day before, presumably, and not bothered making any more for the morning shift. Maybe there was something going on behind the scenes, but it was pretty disappointing. We ate some very fancy food in Paris, but this simpler cafe was probably my favourite place. I don’t always eat the healthiest food on holiday, so it’s nice when a plate like this comes along with a million little salads which are all refreshing and delicious. Top tip: reserve a table if you go here, they were absolutely packed when we went. Yamm! looks like a great place for vegetarians. For vegans, alas, it is not so amazing. I may never get over my breakfast disappointment there: if your menu promises two vegan pastries, you have to deliver. Bread buns will not suffice. I love sushi! This year I was bold enough to make my own on several occasions, which is just as well because I didn’t have it in restaurants that often. 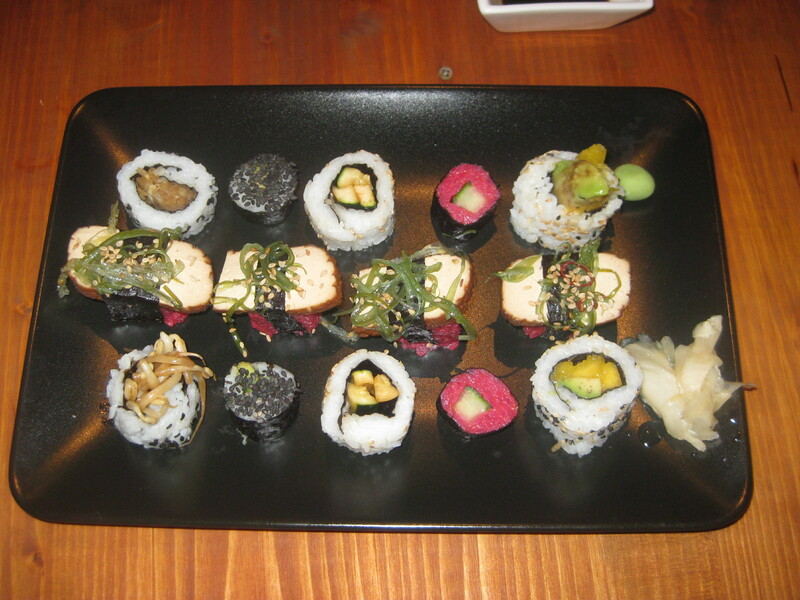 This all-vegan sushi restaurant in Vienna was fantastic. There were lots of different kinds, all of them delicious. It was also a cozy little place, pretty quiet in the early evening, and a nice laid back place to eat after a day on the go. Another broken promise, another breakfast disappointment in Vienna. This time the promise came from Facebook and spoke of breakfast waffles. The reality was waffles in the afternoon, and only one vegan baked good in the morning: the cake above (delicious, but not really breakfast). 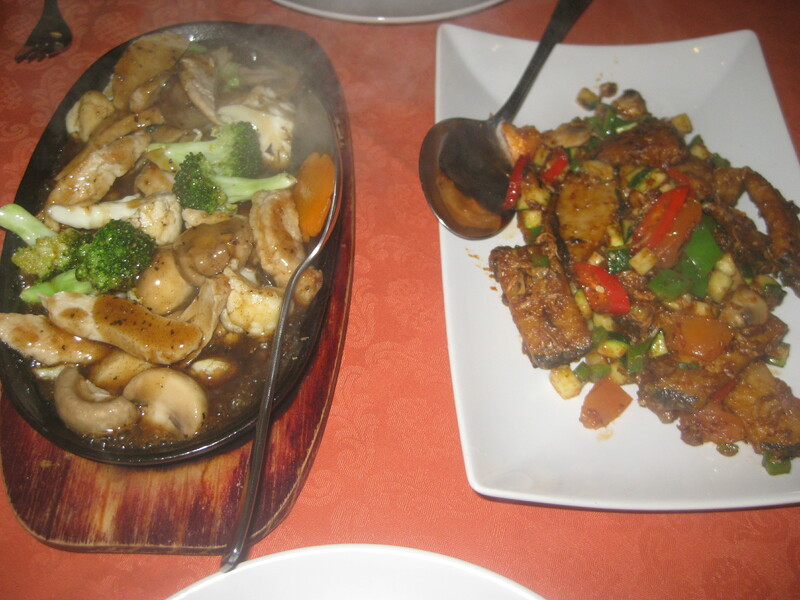 I’ve had a lot of good vegan Chinese food, but never anything better than my old local in Manchester. 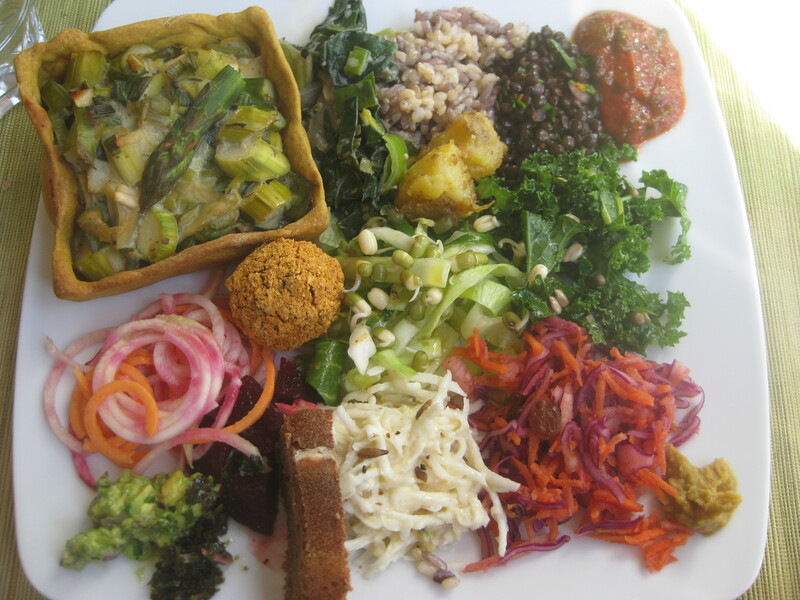 About half of the menu is vegan, and I’ve never had anything there I disliked – this is largely because I usually order the same things again and again because they’re just too good to resist. It’s quite out of the way, but well worth the bus ride from the city centre. Let me start by saying that I’ve also had one of the top ten meals of the year at LoVeg: their traditional Czech dishes (main course and dessert) are truly impressive. 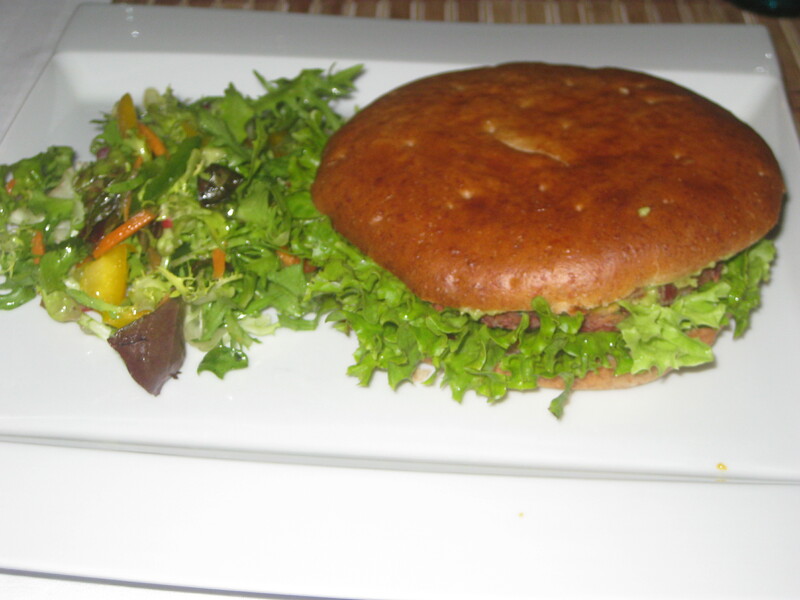 Alas, the burgers leave a lot to be desired – they are flat, flimsy and soft. So, I would encourage all visitors to Prague to eat there, and I will definitely take my guests there in the future. Just stay away from the burgers! 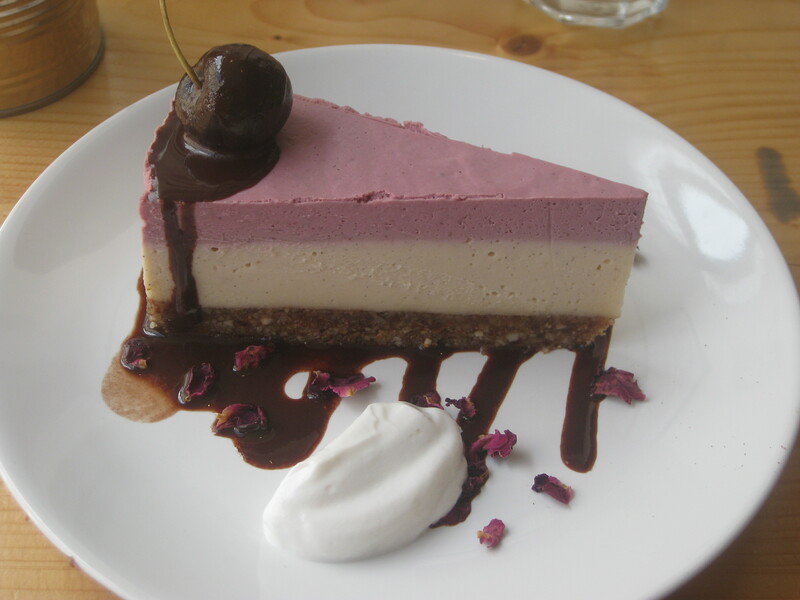 This was the only all-vegan eatery we visited in Cornwall, and it was a great find. Again, it was helped by the fact that I was on holiday and it was a beautifully sunny day, but the food was top notch regardless of any other happy circumstances. The savoury food was delicious too (pictured up top), but this cake was spectacular and probably the highlight of the meal. 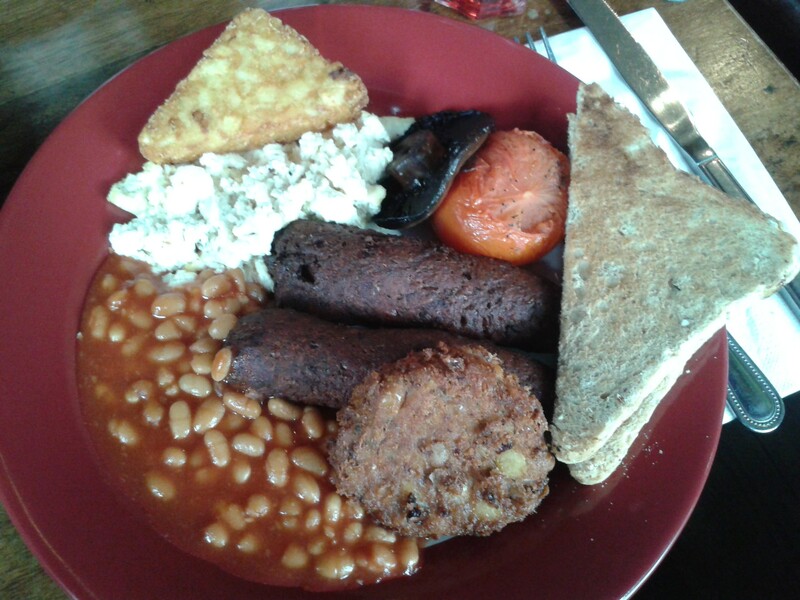 I always see a lot of love for the Odd vegan breakfast on the Manchester Vegan Facebook page, and it just baffles me. While some elements of it (namely the sausages) are sublime, I think this is a plate of food that would be deemed not good enough to be served to non-vegans. 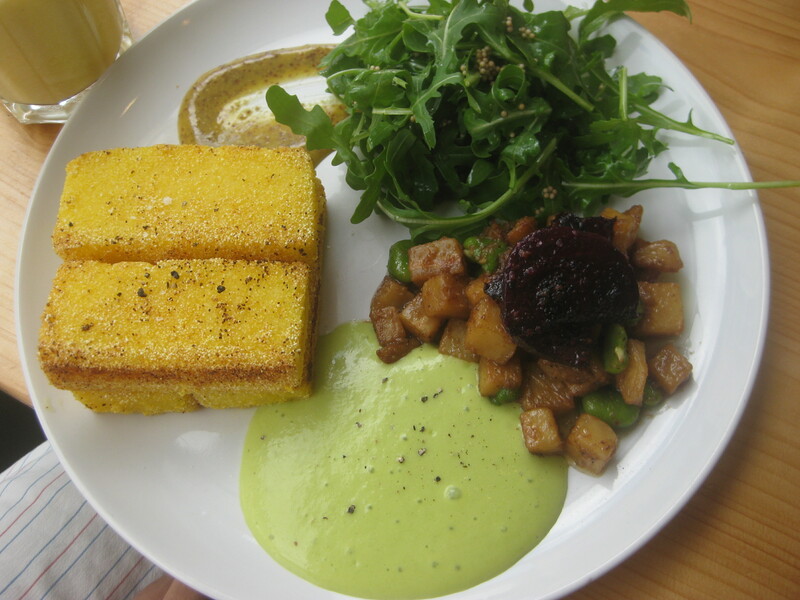 The tofu is unseasoned, the toast is served without spread and there is no non-dairy milk for hot drinks. Must try harder, Odd! I don’t yet have any travel plans for 2016, but I’m sure there’ll be plenty of good food to see me through the year. Happy New Year! 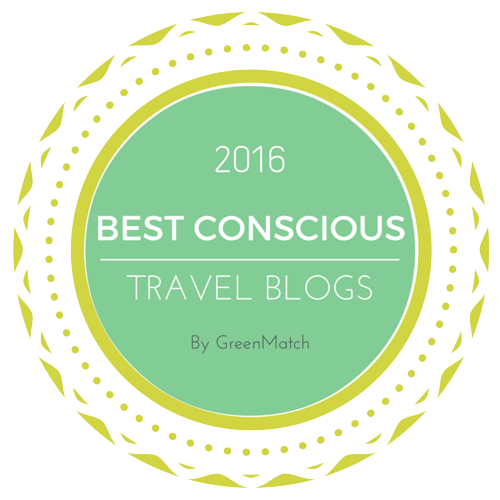 This entry was posted in General, Travel and tagged vegan restaurants, vegan travel. Bookmark the permalink. 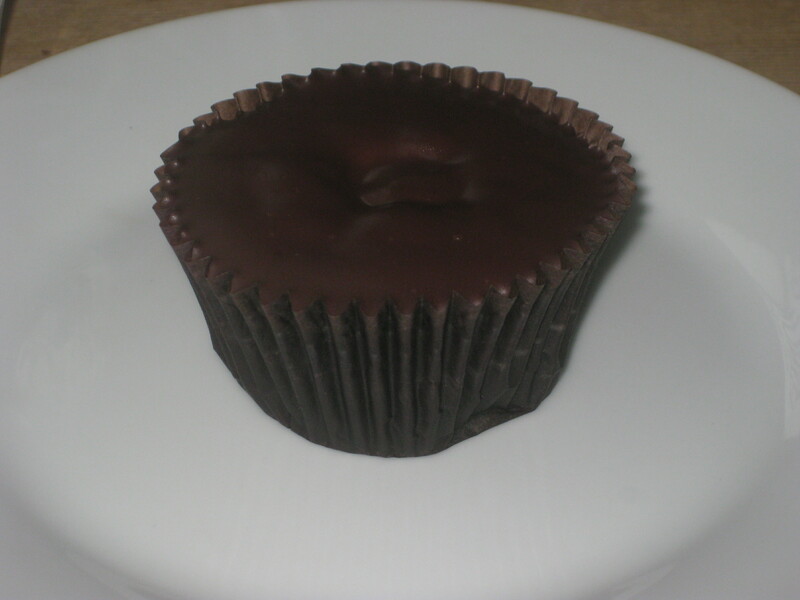 I just discovered your site via Flicking the Vs – it’s nice to have another UK vegan site to follow. Thanks Kari! I’m actually based in Prague now, so it’s not an entirely UK blog any more. But most of my afternoon teas were here in the UK, so there should be plenty to keep you busy! Happy new year – there looks like enough hits there to make it a good eating year. The Odd Bar brekkie was a bit baffling though – it looks like it wouldn’t take too much more effort to make it a really good one. That is definitely some Odd food! Hopefully 2016 will hold more good food! Happy New Year to you too! 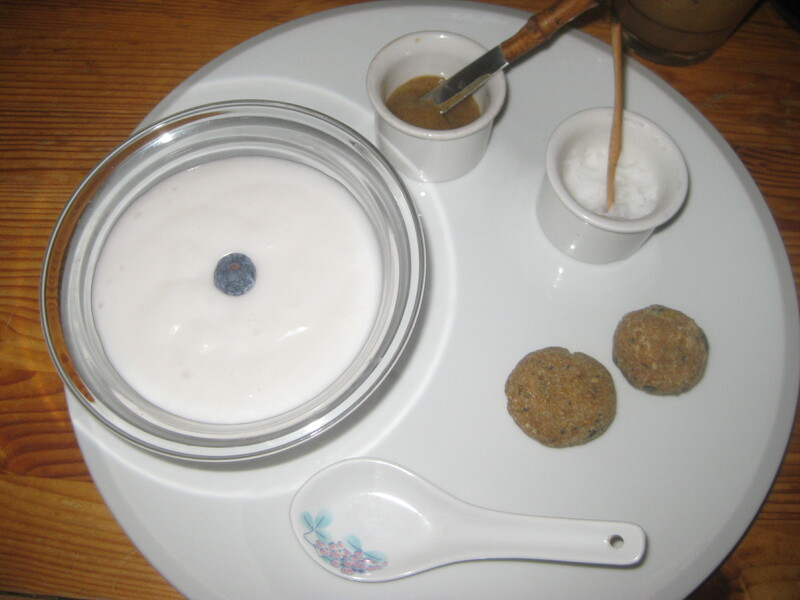 I think the most baffling thing about the Odd vegan breakfast is its popularity. I don’t understand why everyone else isn’t complaining about it!